What is a “Low-Code Development Platform”? 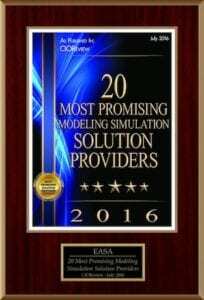 Area of Interest - Excel, CPQ, Simulation Modeling, Low-code development, hpaPaaS, etc. 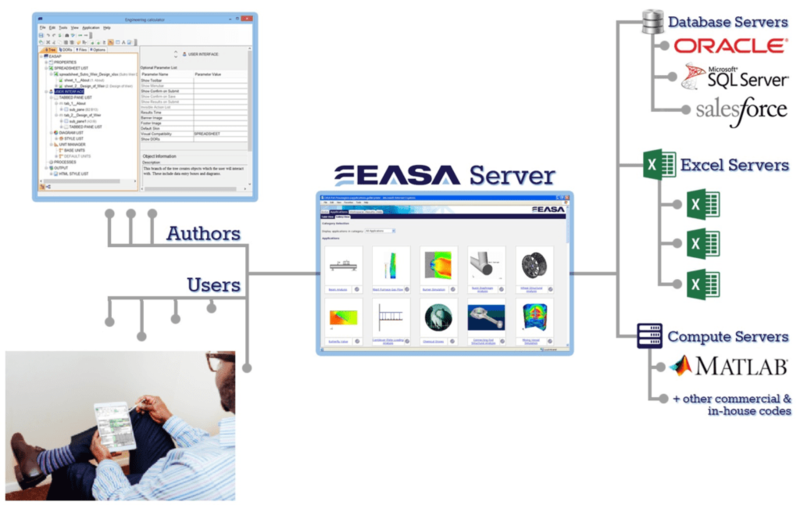 EASA’s unique patented technology enables “citizen developers” to take existing applications created with tools such as Excel, scripts and R code, or processes that might also involve interaction with local and enterprise tools such as databases, CRM and ERP systems and webify them – within a “low code” environment. The principle is quite simple. EASA enables you to create a web interface which contains the input data fields and the calculated outputs, if appropriate (including charts, tables and graphics), while the native model, or process, becomes server based and only accessible via this web app interface. Users never directly touch the native software (no copying, editing, emailing, or downloading is the default), rather they populate the web app with input data, and EASA then feeds this data into a copy of the server based native software. Multiple instances of the app can be handled simultaneously and securely as each user gets a private copy of the native software (the native software, for example an Excel spreadsheet, becomes a “template”) so there is no danger of overwriting each other’s work. Results are also kept private unless settings made by the system administrator allows the viewing and sharing of completed runs. Both the results and input data for each run is saved in a database – either the database supplied with EASA or on a corporate database on your network. This case management system provides far more compact storage while also enabling database functions like searches, groupings, analytics and general data mining. Historical runs can be instantly recreated and used as a “starting point” for new runs. The interface can be customized to make the native models streamlined and far faster and easier to use, while the native model is now protected from downloading, copying and changing. Thus, your undisturbed native model, for example your Excel file, becomes the “logic engine” while the web app serves as the new user interface, and this provides you with the full functionality of your application while protecting it and making it accessible to any authorized user. 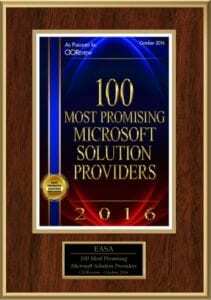 EASA can be installed to run purely internally or as a portal that plugs in behind your firewall, or through a secure (HTTPS) hosted cloud facility. The latter is often used for “outward facing” apps used by 3rd parties such as partners, resellers and customers. Expertise and knowledge of your subject-matter experts represents key intellectual property; EASA can help you capture and future proof these valuable assets. By enabling you to embed your corporate design and business rules, error checking and suitable inputs into the web interface, users will be able to flawlessly execute processes previously requiring an expert – from generating feasible designs to analyzing risk, to producing accurate proposals. With a fit-for-purpose and intuitive to use GUI, your EASA applications (“EASAPs”) are far easier and efficient – for any user – whether they are experts or not. Design or business rules, ranges and constraints, unit conversions and error checking can all be authored into the EASAP. Workflows and processes involving multiple software tools, for example calculations, databases, enterprise systems like CRM and PLM, can all be integrated and automated. As a browser based application, intellectual property is no longer exposed; it cannot be sent to unauthorized people, for example via email. As the underlying software is running on a proven computer, you have maximum reliability and are not subject to failures due to different software versions. A “paper trail” logging information such as user, project, date, software version, etc. is automatically recorded. The apps published on an EASA server are fully version-controlled. This is especially helpful to combat the proliferation and confusion of Excel spreadsheets. True collaboration can now be achieved! 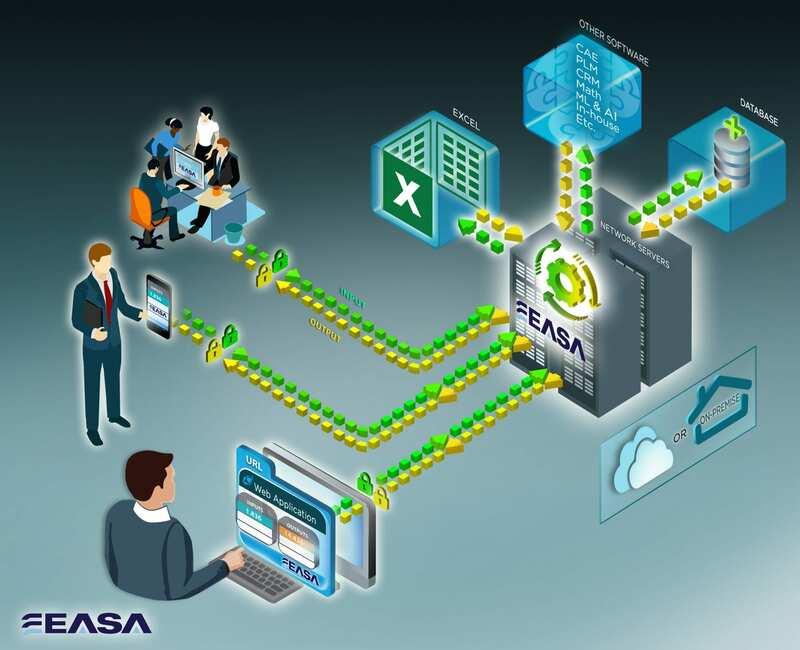 EASA includes administrative capabilities such as managing user-authentication, user groups, database and Excel server configurations, localization and language settings. Administrative functions enable complete control of each individual’s app library, and who can see or share various results. It is easily integrated into existing authentication and single sign-on (SSO) solutions already in place within your organization, such as Active Directory (AD), LDAP, SAML, Siteminder, etc. Is EASA right for your organization? Quickly determine if EASA is a potentially good fit for your specific situation: Is EASA right for you?